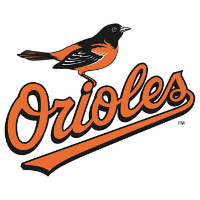 Baltimore lost its fifth straight game since the three-game sweep of its rival Washington Nationals, falling to the Toronto Blue Jays, 15-2, in the opener of a doubleheader on Wednesday. The O’s (76-81) have been outscored 36-5 in the skid, and have now been officially eliminated from 2015 playoff contention in the American League. Miguel Gonzalez (9-12, 4.91 ERA) took the loss, giving up four runs on four hits in three and two-thirds innings, striking out three and walking three. Marcus Storman (4-0, 1.67 ERA) got the win for the Blue Jays, giving up a run on five hits in eight innings of work, striking out eight and walking two. Steve Pearce hit his 15th homer of the season for the Orioles, a solo shot in the seventh.